Experiencing a “no heat” situation? We’ll have a Rumpca Services HVAC contractor repair your heating system in no time so your home won’t freeze and your family can stay warm. Our NATE-certified HVAC technicians are expertly trained to diagnose and resolve even the worst of problems. 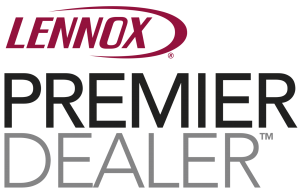 Don’t wait for your furnace problems to become more problematic. Call us immediately for furnace repair in Woodbury, Cottage Grove, or Maplewood MN and the surrounding areas so that we can respond in a timely manner. We will do our best to work with your schedule when doing your furnace repairs and will get your heat back on as soon as possible. 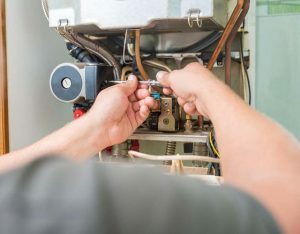 As a fully licensed, insured, and bonded heating, air conditioning, and plumbing contractor,we are experienced in working on all brands of furnaces and boilers. Our inventory is well-stocked with furnace replacement parts and we carry HVAC units made by some of the best manufacturers in the HVAC industry. When we do not have your parts in stock, we have multiple companies we can contact so we can have the parts you need delivered as soon as possible. Our brutally cold Minnesota winters can lead to many heating problems if your heating system is not properly maintained. Don’t be left in the cold due to a “no heat” situation–call Rumpca Services for a heating system inspection every fall to ensure your heating system runs flawlessly and keeps you warm when need it the most. Regular furnace maintenance is key to keeping your entire heating system in optimal working condition. You can also prevent costlier furnace issues by having HVAC professionals routinely check and perform any necessary furnace repairs and furnace maintenance, if necessary. With sudden unexpected changes in the weather, you don’t want to be left out in the cold when you need heating the most. 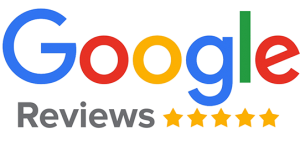 Choose your local trusted HVAC provider of furnace repair in Cottage Grove, Woodbury, and Maplewood MN and the surrounding Twin Cities suburbs. Our highly-skilled HVAC technicians are known for their thorough assessments and spot-on recommendations. 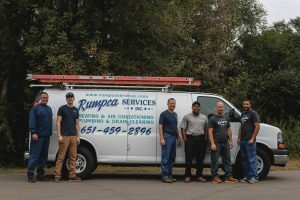 Rumpca Services is dedicated to providing the very best HVAC services and products every time, all the time! 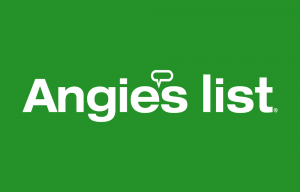 Providing exceptional service for over 35 years, we are proud to be the HVAC technicians preferred by customers in the South Metro Area of Twin Cities MN, including Cottage Grove, Woodbury, St Paul Park, Newport, Inver Grove Heights, Hastings, Afton, South St Paul, Oakdale, Eagan, Mendota Heights, Denmark Township, North St Paul, Sunfish Lake, Maplewood, and Lake Elmo. We also service the Burnsville and Bloomington suburbs as well as the surrounding communities in Minnesota. Ask us about our coupons or seasonal promotions! To find out more about our services, visit our Contact Us page or call us at 651-459-2896.